Sora returns for a new adventure in the game Kingdom Hearts III! Now you can recreate your favorite scenes from the game with this Kingdom Hearts III Sora Bring Arts 2nd Form Action Figure - Previews Exclusive! Sora has been re-created in a more compact size but still holds great detail. This easy-to-carry figure is so compact it fits right in the palm of your hands! 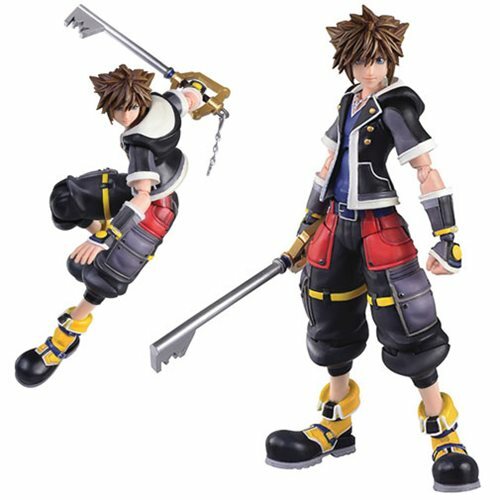 Just like the Play Arts Kai Sora figure, this 6-inch figure also comes with a wide range of motion in the articulated joints, his keyblade and 2 other keyblade forms, and even interchangeable hands and face parts! This small but impressive figure also comes with a display stand so you can pose even further! Measures about 6-inches tall. Ages 15 and up.